'Stone fruit' is the general term used for some fruit of the Prunus species. 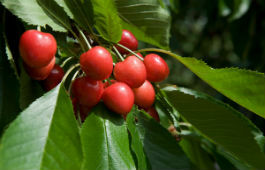 In NSW, stone fruits grown include cherries, peaches, nectarines, plums, apricots and prunes. There is both temperate and low-chill stone fruit grown in NSW, and within each species there may be a number of varieties grown in a given area. Varieties are chosen for each area based on variables such as soils, water quality and availability, chill units, and market advantage. NSW DPI has a number of staff dedicated to working with stone fruit. Research and extension officers are involved in projects investigating issues such as: rootstock and variety assessment; irrigation and nutrition management; biological control; IPDM (Integrated Pest and Disease Management); crop load management; and factors affecting market access (e.g. management of Queensland fruit fly).